Welcome to the world of the Healthy Juicer. A simple to use, easy to clean and affordable juicer to start your new life of health. 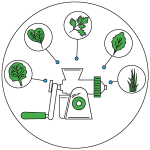 True cold-press juicing technology, keeping those precious enzymes alive and ready to absorb! Juices any leafy green including celery, wheatgrass, kale, spinach and so much more! A happier, healthy life starts here! Don’t have a smooth flat surface? Use the reinforced, stainless steel table clamp to attach anywhere. 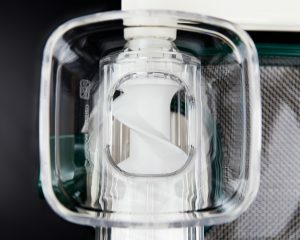 Our patented suction base allows the Healthy Juicer to be affixed easily and quickly to any smooth flat surface! Over 100LBS of pressure insures a tight fit. 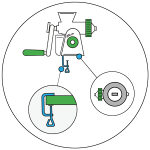 With over 12 years of manufacturing precision, we have perfected the parts. 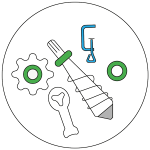 Less than 1% warranty claims speaks loudly to our process! Virtually indestructible pieces make for a frustration free experience. 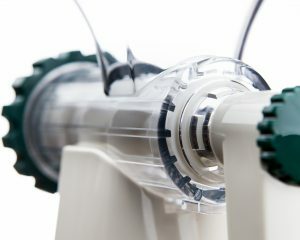 While the Healthy Juicer does come with a plunger, the Patented auger design allows for a continuous feed of your veggies and fruits! Use your time to enjoy life and drink juice. No internal screens and only 3 main parts to clean! At $64.95 it’s the best bargain ever. Compare to a $340 electric juicer! Simple to put together, take apart and small to store! 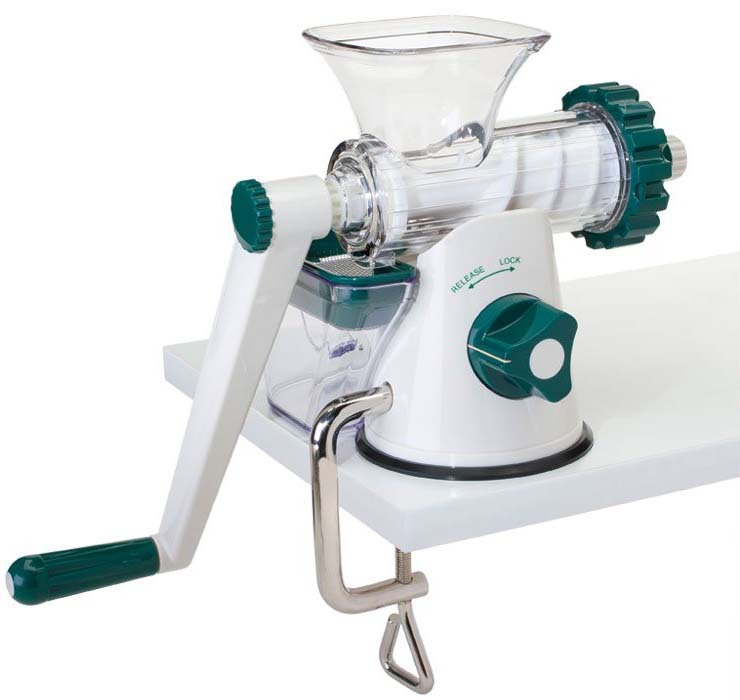 The Healthy Juicer has a Patented Suction Base & a Table Clamp. It can find a home almost anywhere. 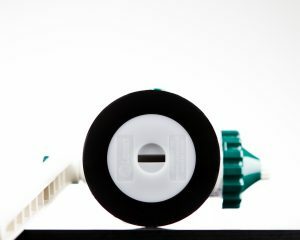 Stainless steel end cap and auger-tip and a virtually indestructible BPA-Free auger. We are up for the fight! Put us up against any other juicer and we will out-juice it. Guaranteed. Give it a try for 60 days. If you don’t love it just send it back, no questions asked. We will even pay the shipping back! 1-Year Juicer Warranty on all parts. Juicing increases energy, boosts metabolism and gets your body back on track with the ultimate detox. No need to break the bank to feel amazing! The Healthy Juicer fits anyone’s budget and the perfect companion for the journey! 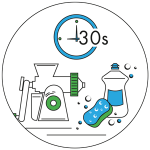 With it’s famous 30-Second Cleanup you will have more time to start that active lifestyle you have always wanted. Fresh juice contains LIFE! Not to mention a far superior amount of nutritional value from the store-bought, pre-packaged juices. The packaged juices have to go through a high-heat pasteurization process which destroys nutrients. 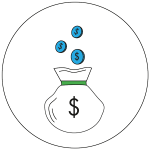 Did we also mention the huge cost-savings?! The average bottled juice costs an insane $8.00 for 12 ounces! The Healthy Juicer pays for itself in only 1 month of at-home juicing! The Healthy Juicer has been around for well over 10 Years. We think that speaks loudly enough of it’s workmanship, but that isn’t just enough. 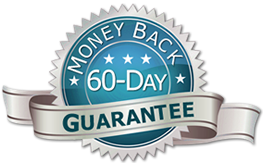 We offer a 60-Day Trial, because we know you will love it. 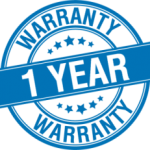 On top of that we provide a 1-Year Warranty on all parts. 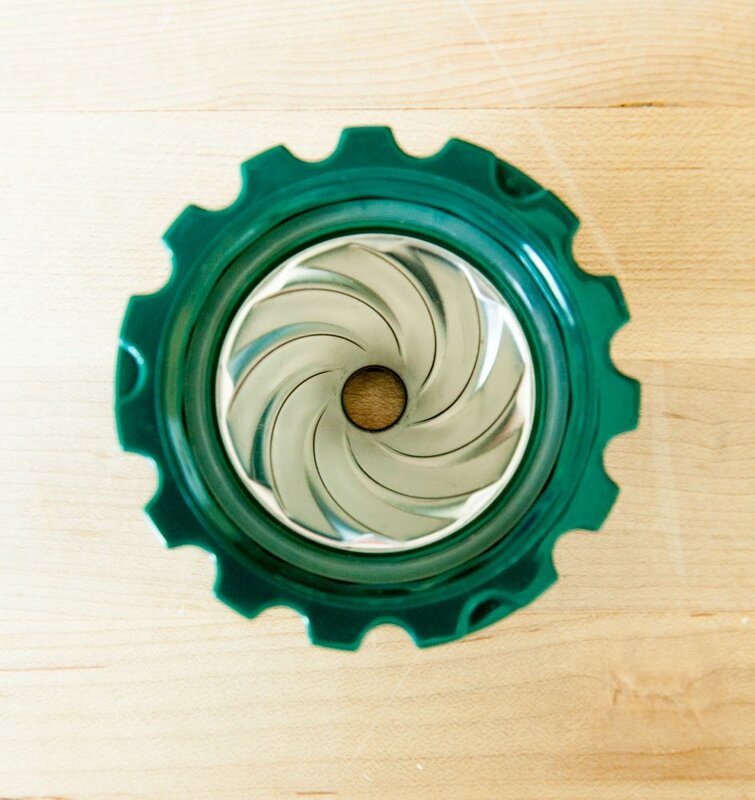 Featuring Stainless Steel inserts, a BPA-Free Auger and virtually indestructible housing. 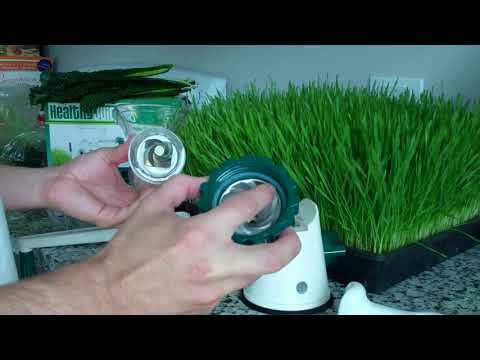 Most juicers simply can’t handle very fibrous items, like wheatgrass. 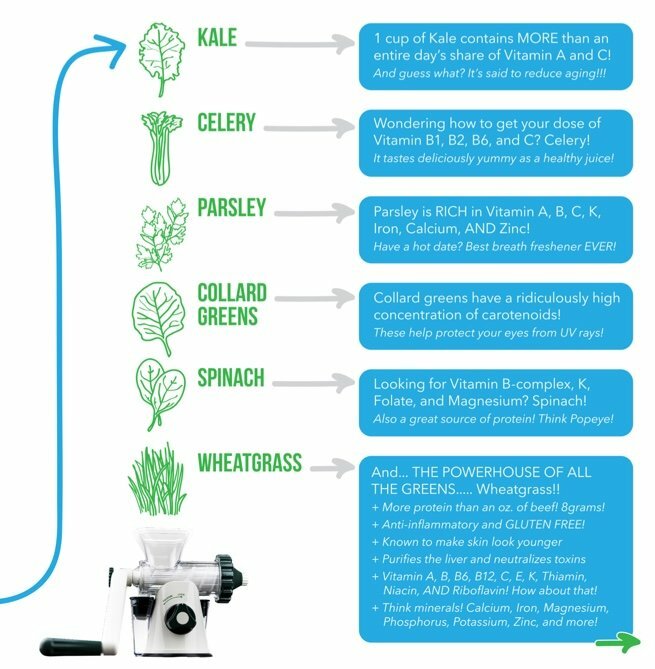 The Healthy Juicer is king of all wheatgrass juicers, which ultimately makes it king on every leafy green. Kale, Spinach, Collard Greens, Celery, Beats, Parsely, Apples and more. You name it, it can do it. YES, I WANT TO GET HEALTHY TODAY! Want to keep up your health on the road or at the office? 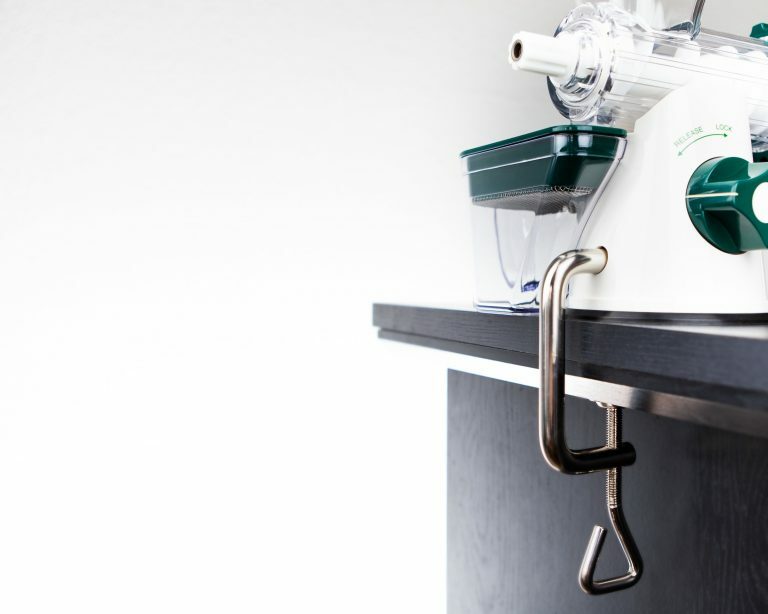 The Healthy Juicer weighs only 4 pounds and could quite literally fit in a purse or briefcase when it is disassembled. Great for camping, travel, work and more. Don’t have a large kitchen space? Perfect. 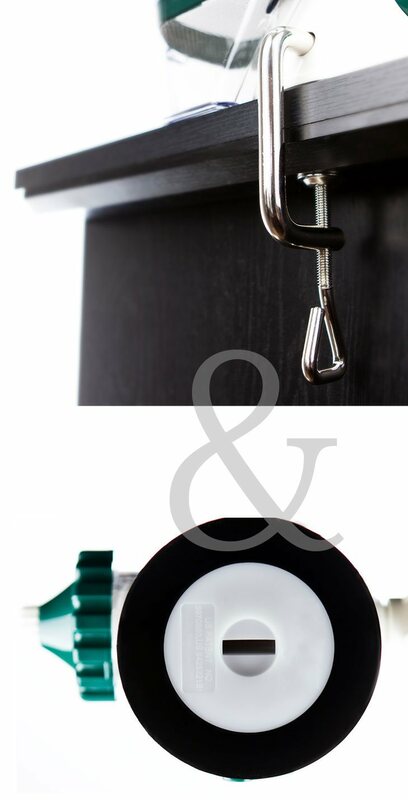 This little guy fits nicely in the corner of the cabinet, although we think it’s more fun to keep it out to start conversations….. 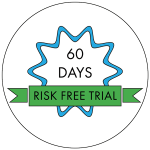 TRY IT TODAY – RISK FREE! The juicer that pays for itself. 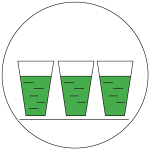 Store-bought juice is EXPENSIVE, it’s much more affordable to juice yourself and you’ll ensure you’re getting fresh juice that isn’t pasteurized or made with gross filler ingredients! Free shipping. 60-day trial. 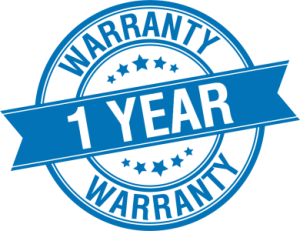 1-year warranty. No hassle returns, we pay the shipping! 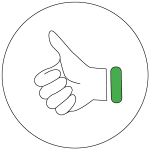 Real customer testimonials, from real clients. These folks wrote in to us and we asked them to share their experience in 30 seconds or less on video! Ankit was such a fun customer! He was kind enough to share a video of him juicing, cleaning up and giving some tips (creative ways to use the Healthy Juicer too, that we hadn’t even thought of!).. 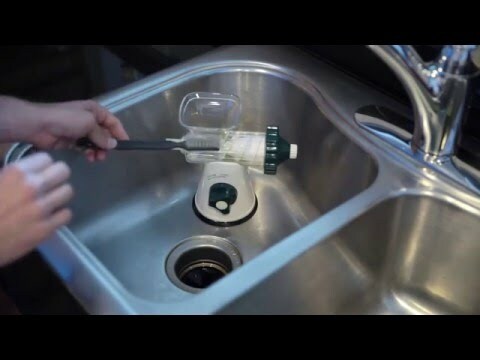 Nancy sent a cool video about her and her husband Ed’s success with different items using the Healthy Juicer! 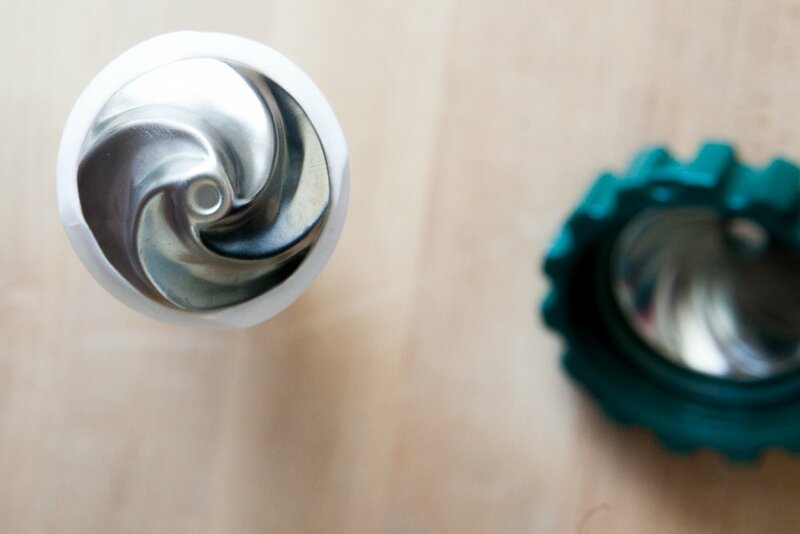 Keep up the experimentation and keep it fresh. Thank you Nancy and Ed for taking the time to make a quick video!